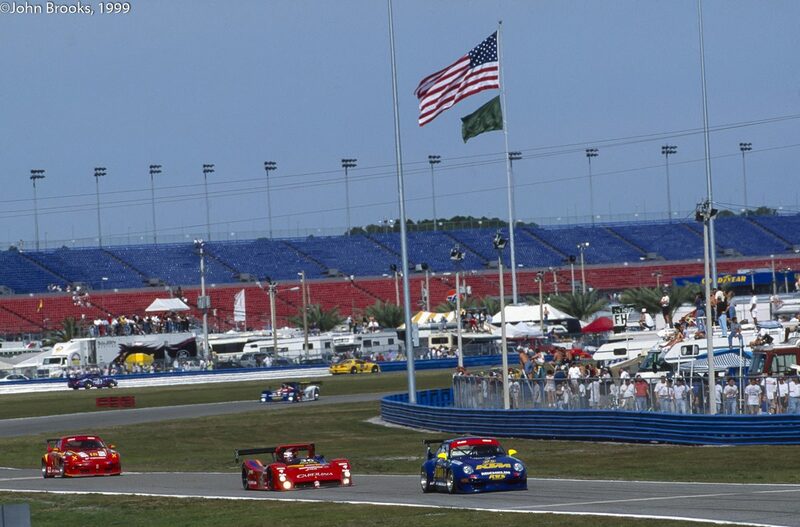 In August 2001 plans were announced to once again take the races to the fans, nothing if not persistent were the ALMS in this direction. 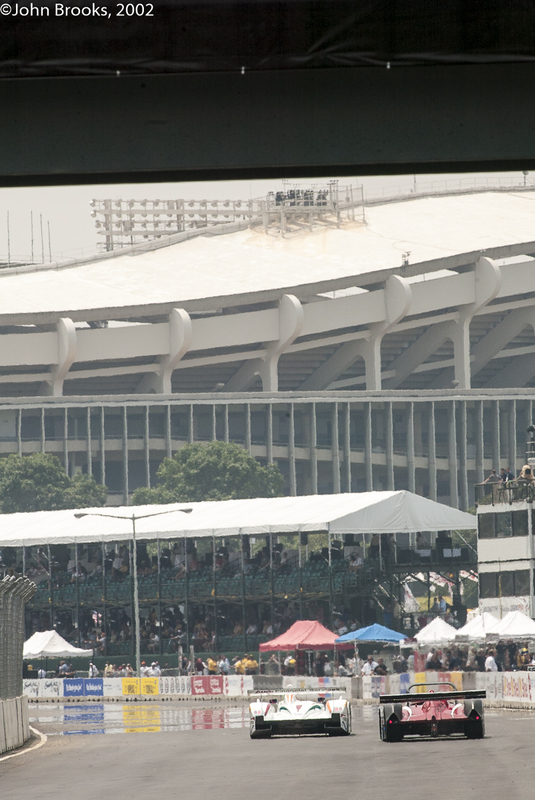 The venues were to be a street race round the financial district of Miami and the Washington Grand Prix at the RFK Memorial Stadium Circuit in Washington DC, or rather in the car park of this former home to the Washington Redskins. These legitimate concerns were amplified by the apprehensions of local residents about noise and the sheer inconvenience of the event and the proximity to their properties, as little as 100 yards in the worst case. Furthermore there was unease about the financial arrangements which involved public funds and were opaque to say the least. Robert D. Goldwater, the D.C. Sports and Entertainment Commission’s President and Executive Director, said those details will not be made public because the Commission considers the information proprietary. 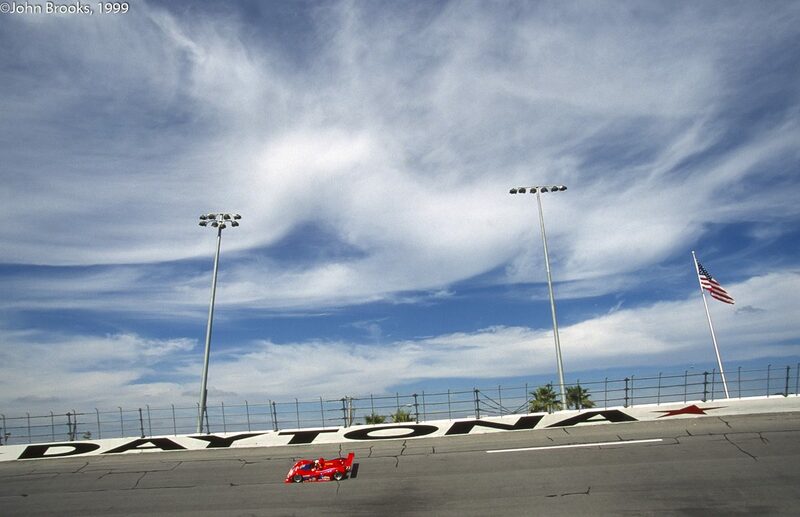 The only cost he has revealed is that of building the temporary 1.7-mile racecourse: $3 million, which will be split with the Grand Prix organizers. That declaration was soon undermined as the Washington Post dug deeper into the affair. 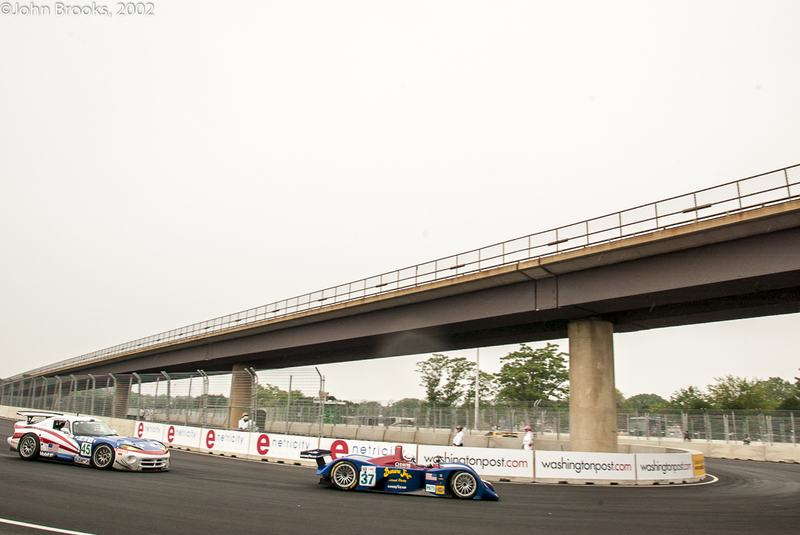 “The D.C. Sports and Entertainment Commission and the promoter of this month’s Grand Prix auto race are splitting the estimated $3.5 million cost of constructing a track, but the Commission is assuming the risk by putting up all the money — a contrast to Grand Prix deals in other U.S. cities that generally have avoided using public funds to finance the events. The rows over the event rumbled on with a great deal of band-wagon jumping by local politicians, community leaders and ‘activists’. A sound absorbing wall was promised and other environmental issues were declared as having been addressed. The promoters apparently offered free tickets to the locals and other incentives were suggested, some accepted, some rejected. 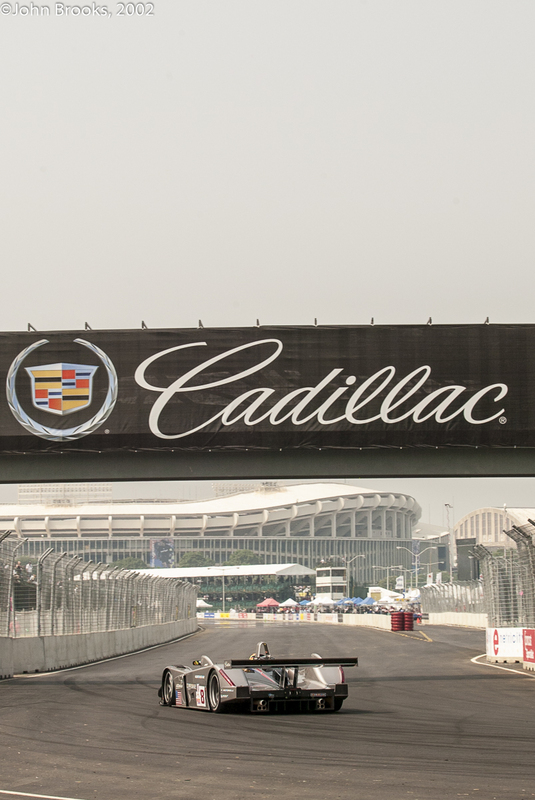 Cadillac were persuaded to be the title sponsor and the United States Mint got in on the act announcing that the Golden Dollar would be the Official Coin of the Cadillac Grand Prix. Whatever anyone said as 2002 rolled by the tarmac was laid in the stadium car park and the track gradually took shape. 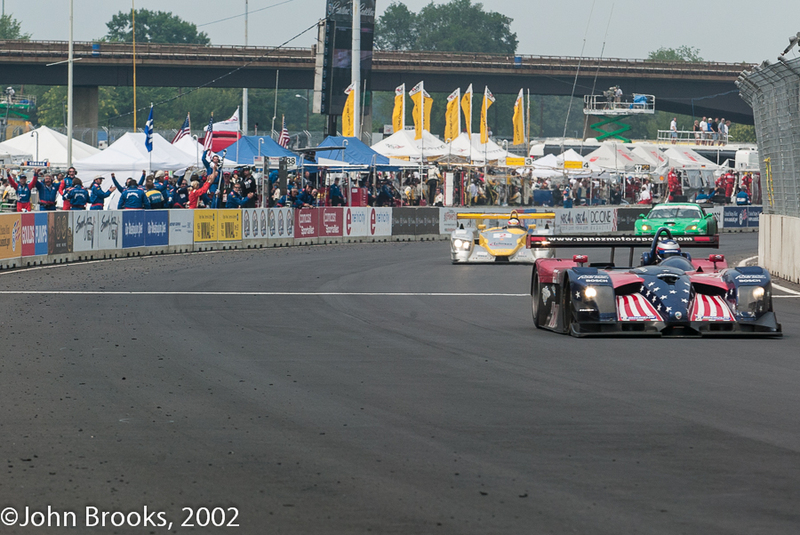 So in July 2002 the ALMS circus assembled in the shadow of the RFK Memorial Stadium, along with the Speedvision World Challenge, Trans-Am and a celebrity support race, this felt like a proper motorsport event. The track, sinuous and short – 1.7 miles – was wide with passing opportunities and it would be possible to race even in these confines. July is not the optimal time to enjoy the banks of the Potomac, or the District of Columbia, being both hot and humid, no wonder everyone was so grumpy. 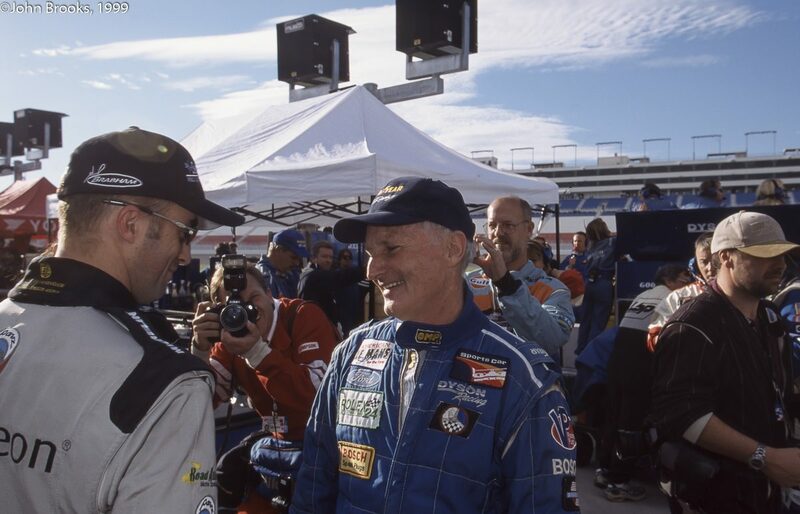 Thirty-two cars would line up on the grid and it was clear, that barring unforeseen incidents, victory would be a contest between the two factory Audis and the lead Panoz, the latter now in a revamped EVO 2002 form. 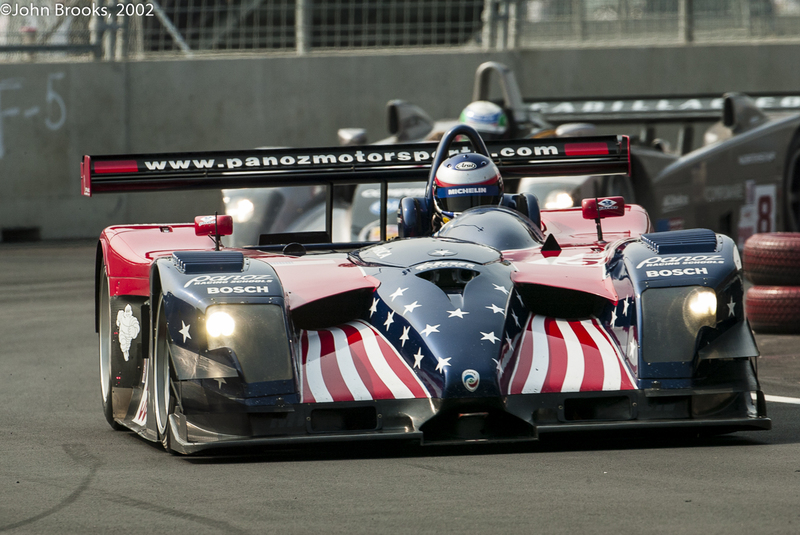 Embracing the patriotic spirit in the post 9-11 USA, the livery was composed of Stars and Stripes, and titled ‘Spirit of America’. 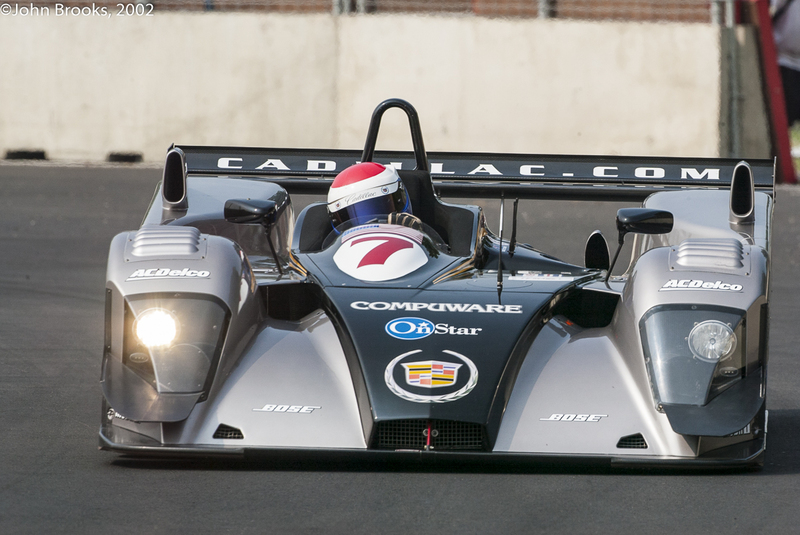 The Cadillac team were a vast improvement on their 2001 effort but in the background the long-term viability of the project was in doubt as GM management were starting to grasp the realities of engaging in a technological and budgetary war with Audi. 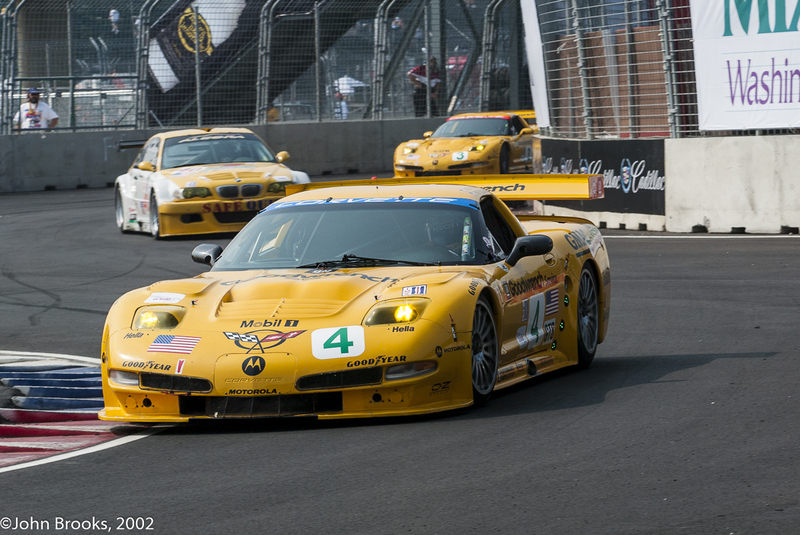 Corvette was a happier GM ship, successive GTS wins at Le Mans will do that for a team. This project made more sense in achieving the marketing, brand building and fan satisfaction aims of Corvette than Cadillac’s venture into Prototype Land. 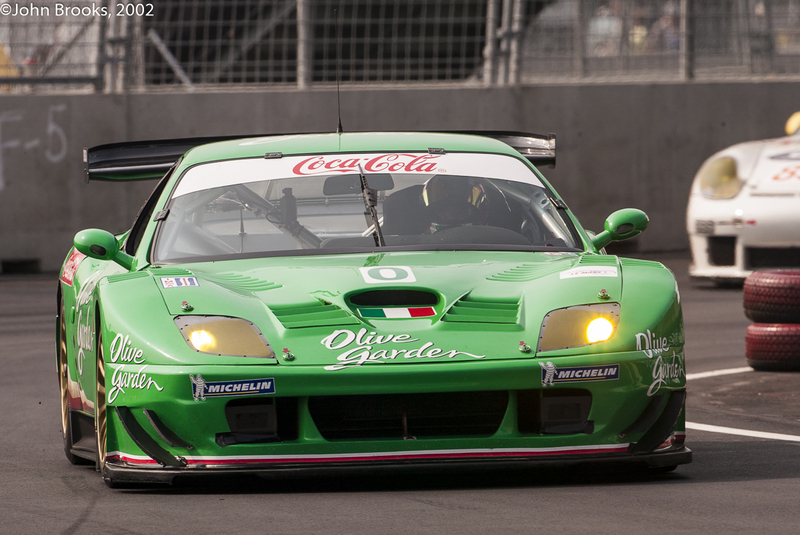 In GTS the Vettes had some serious opposition in the shape of the Olive Garden Racing Ferrari 550 Maranello, they could not afford to relax their efforts. 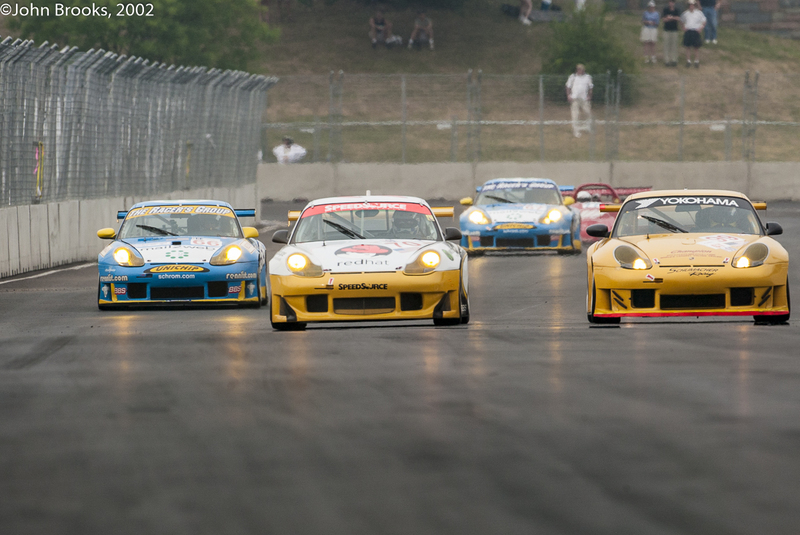 The GT class was an almost exclusively Porsche affair, as BMW had packed up their E46 M3 GTR campaign in response to rules on homologation being changed without notice by the ACO. The ALMS were furious, they had not been consulted, and this destroyed competition in the class and also hit revenues substantially. 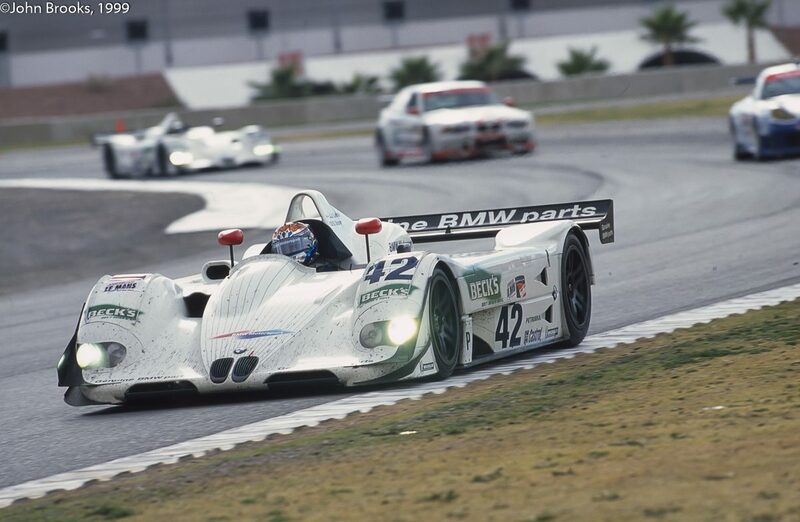 The BMWs ended up at the 24 Hour races at Nürburgring and Spa in the following years. So a solitary Bimmer was on hand to potentially disrupt the Porsche Parade – it did not. 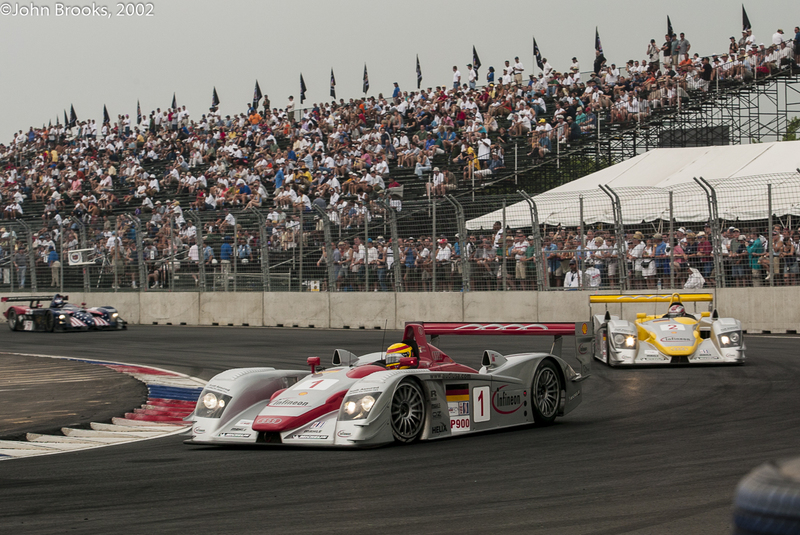 One major difference that the DC race had over the other expeditions into Oval Land was spectators, and in numbers. 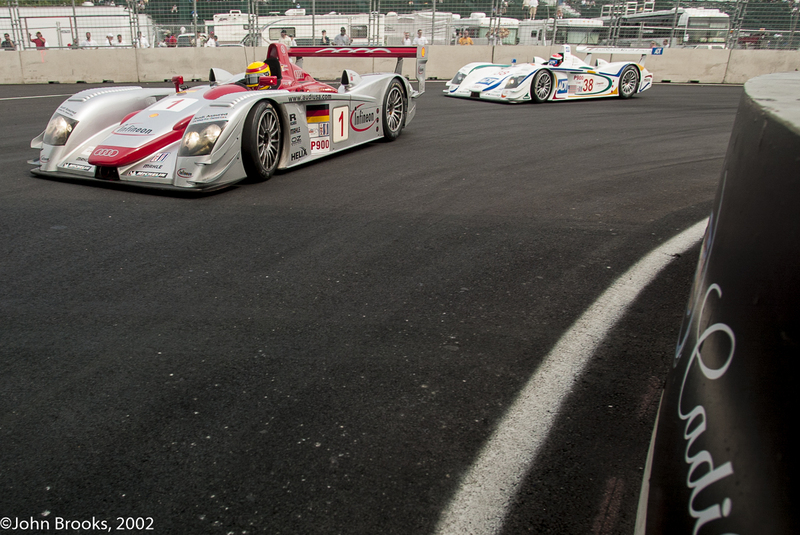 So when the Audis blasted off at the start there were plenty on site to witness the enthralling contest between them and the Panoz. Post race claims of 70,000 attendees over the three days were perhaps true, certainly it was busy. Maybe for a while the ALMS thought it had enjoyed its “Garlic Bread” moment, post event criticisms would cause any such feelings to evaporate. The adjacent Stadium-Armory Washington Metro station no doubt contributed to this popularity, not that I got to experience it personally. The top notch photographer, world class pfaffer and local resident, Regis Lefebure, generously provided a chauffeur service during my stay in his nation’s capital. His technique behind the wheel was certainly different, probably more suited to the roads in the proximity of the Tiber or the Yangtze than the Potomac. The Champion Racing Audi struggled to match the pace of the factory cars, not helped when it was hit by the Capello car while being lapped, Dindo got a stop/go penalty for that indiscretion. 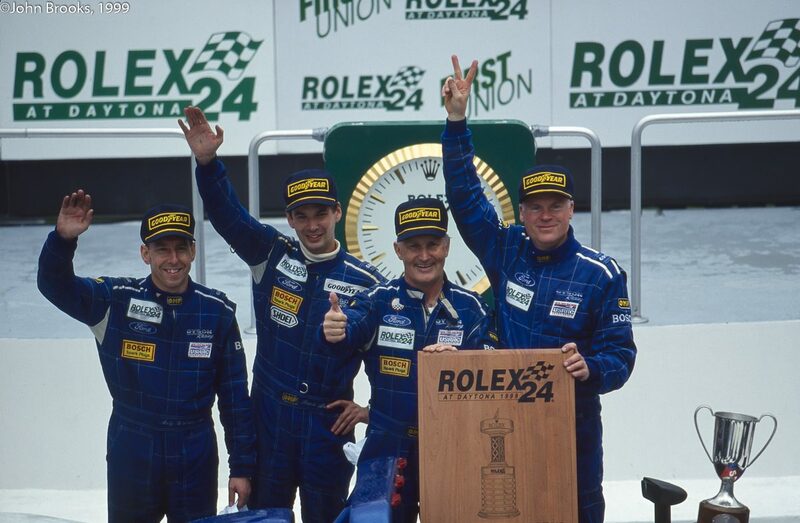 Neither Johnny Herbert nor Stefan Johansson were happy with the R8 all weekend, this was not a normal state of affairs, quite puzzling. 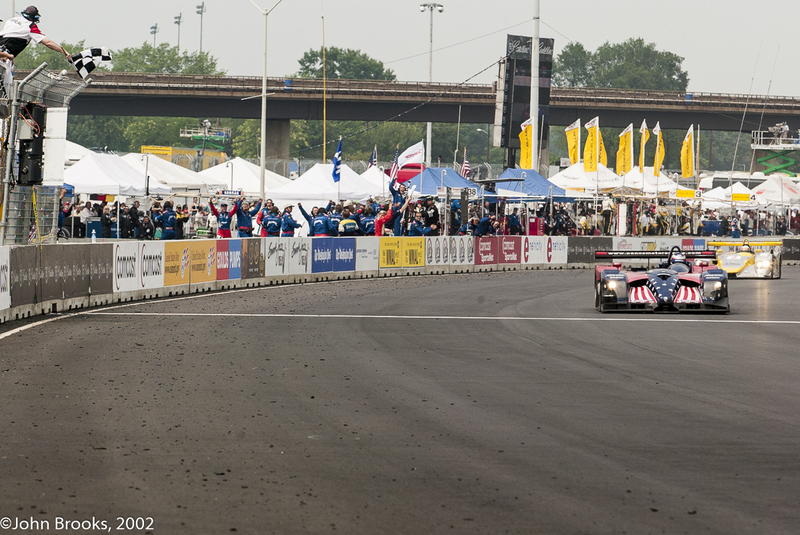 The Audis and the Panoz traded the lead, rarely more a few seconds gap from first to third, the crowd were certainly getting their money’s worth. Which was than could have been said by me. Looking back into the archive there is a big hole in the race, then it clicked, I remembered a microdrive had failed, as they regularly did, and I had not been bright enough to make a back up. Mind you from what remains on file it was clear that I lacked inspiration at Washington, a rather lacklustre performance all round. All three pit and engineering crews worked flat out to optimise their car’s performance, trading off taking new tyres against shorter pit stops and track position, gambles on Yellow Flag periods and fuel consumption. 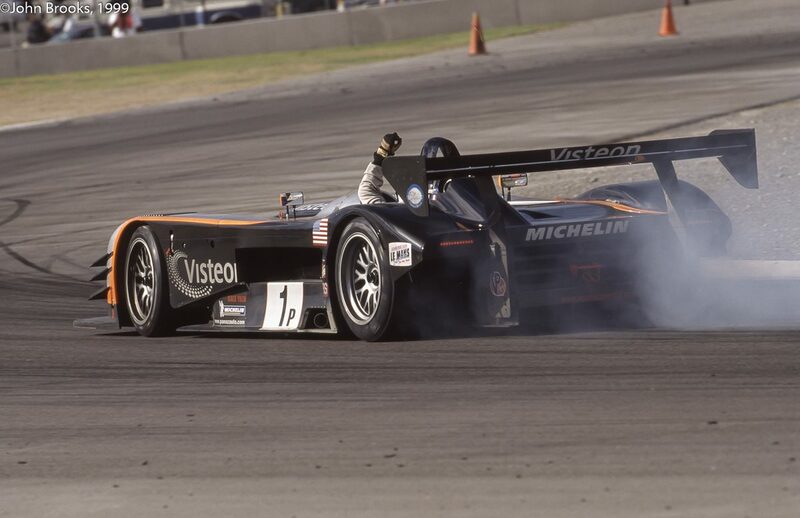 In the end fresh Michelins on the Panoz versus used ones on the Audis was the critical difference. When the Chequered Flag dropped the gap was .766 of a second, in the favour of Magnussen and Brabham, they had won! 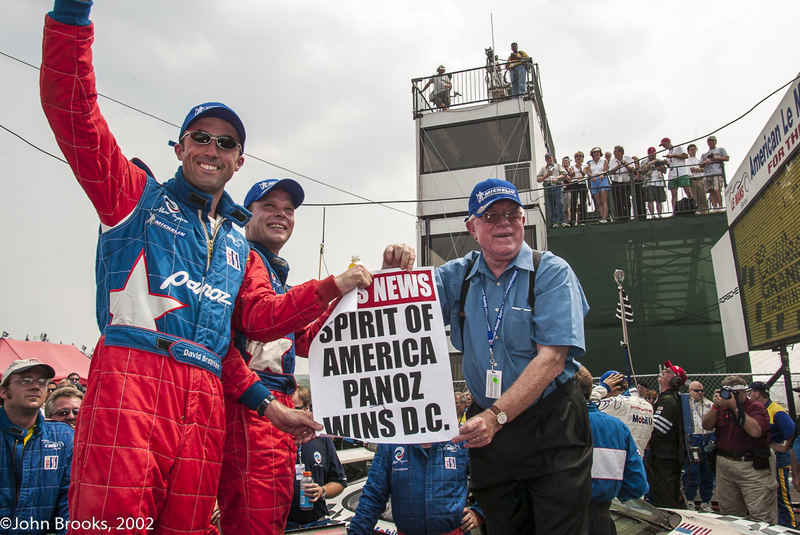 For Don Panoz it was his day of days, a car bearing his name winning in Washington, it really does not get any better than that. It was the final triumph for the rumbling mid-front engined car. Audi, as they always are, were gracious in defeat. They have learned that the value of their own victories is, in part, measured by the respect that they show and receive of the opposition. 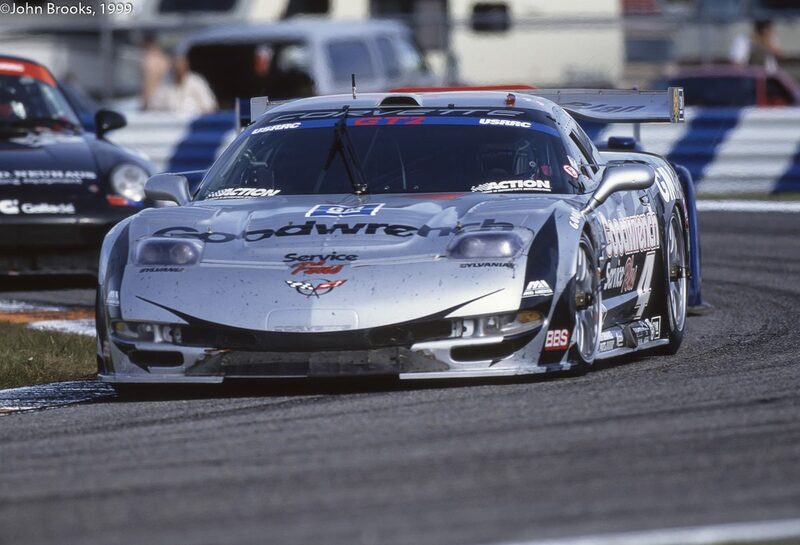 GTS went to the #3 Corvette of Ron Fellows and Johnny O’Connell while Alex Job Racing’s Porsche driven by Sascha Maassen and Lucas Luhr scooped the prize in GT. 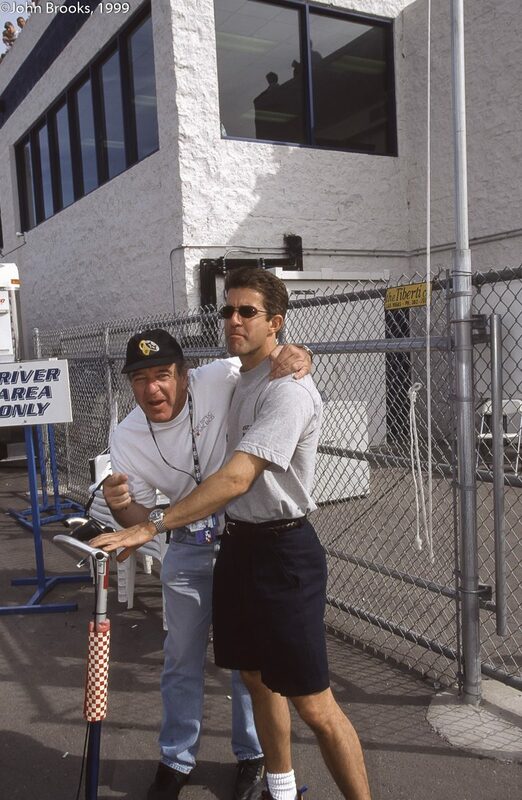 And that pretty much is where the fun stopped, though I did get to buy Regis dinner as a thank you after the race and we were joined by the Great Dane, TK. A thoroughly agreeable way to end my only visit to the District of Columbia. “Cost overruns spilled into the millions, the promoters were fined for noise violations, and allegations of abuse of power were bandied about in the City Council. In August 2002, Washington Post columnist Colbert King blasted then-D.C. Mayor Anthony Williams for “the noisy, noxious-fume-spewing Cadillac Grand Prix that was insensitively and stealthily imposed on a stable, predominantly black North-east Washington neighbourhood over the residents’ strong objections.” Considering that I recall the Post being a partner to the event this was strong stuff. 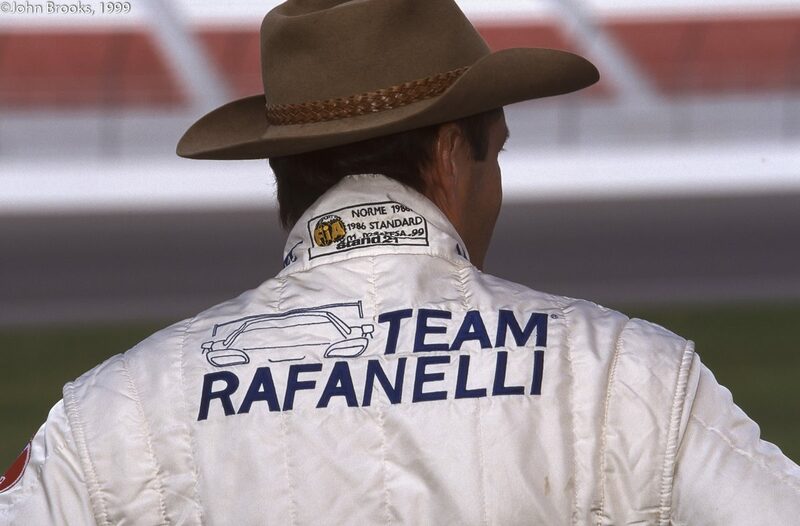 In the face of all this controversy the race was cancelled in 2003 and there have been no attempts to revive it. How the money situation played out is also not clear, my guess is that the taxpayer got hosed and the lawyers got richer, plus ça change………. 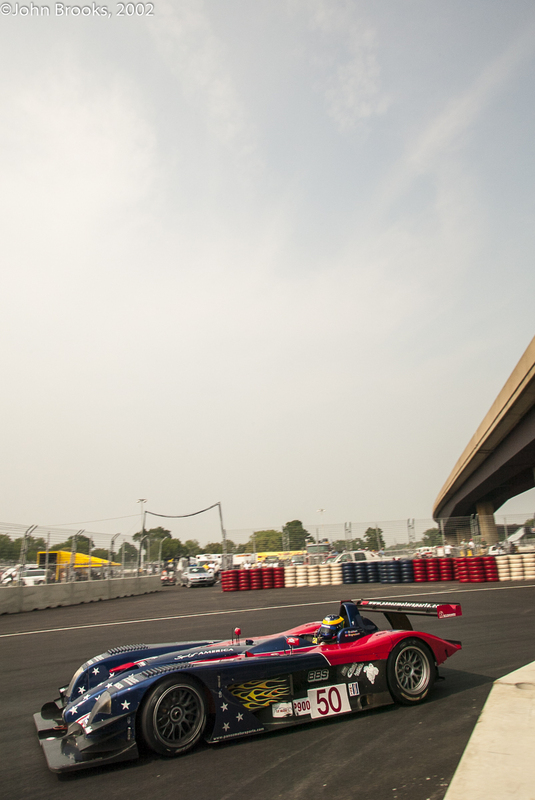 The city race experiment has had limited success over the years, for every Long Beach there was a Miami or Baltimore, perhaps motor sport and metropolises do not mix. 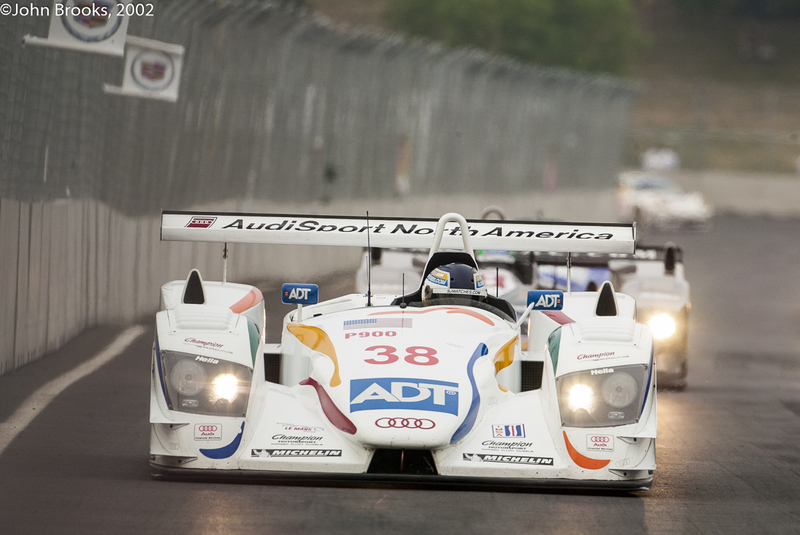 That concludes my look back into ALMS history for now, more soon. 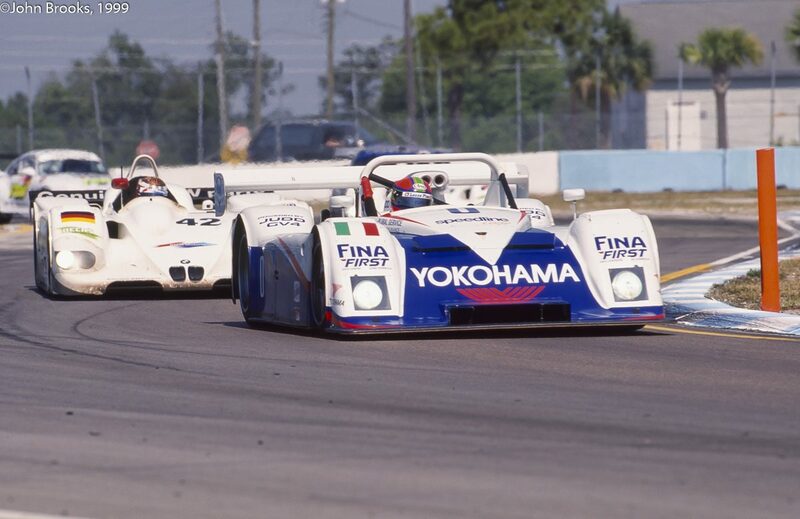 This entry was posted in Nostalgia, Notes from the Cellar and tagged Audi R8, Cadillac Northstar LMP 02, Chevrolet Corvette C5-R, David Brabham, Dindo Capello, Don Panoz, Emanuele Pirro, Ferrari 550 Maranello, Frank Biela, Jan Magnussen, Johnny Herbert, Panoz LMP01 EVO 2002, Porsche 911 GT3-R, Regis Lefebure, RFK Memorial Stadium, Stefan Johansson, Tom Kristensen on December 29, 2014 by John Brooks. 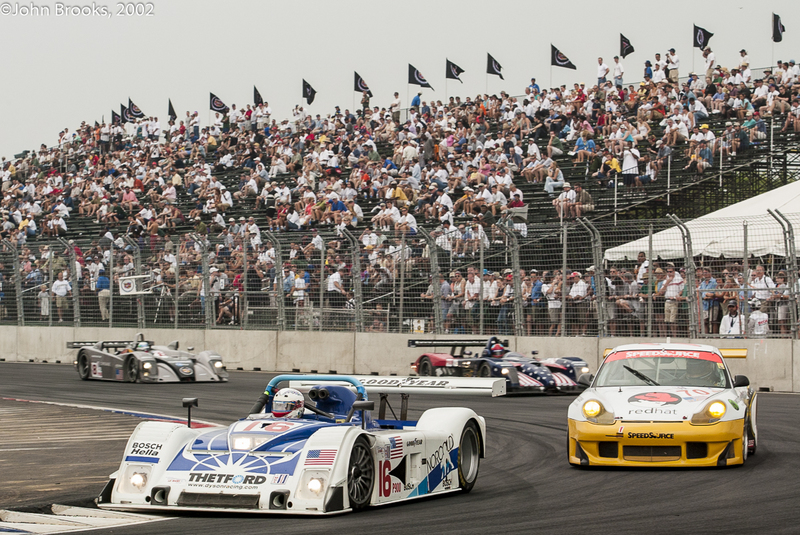 Continuing with the theme of witnessing great performances, a high ranking must go to the ALMS race held in the parking lot of the RFK Stadium, Washington DC, an unlikely venue for a motor race, let alone a great one. 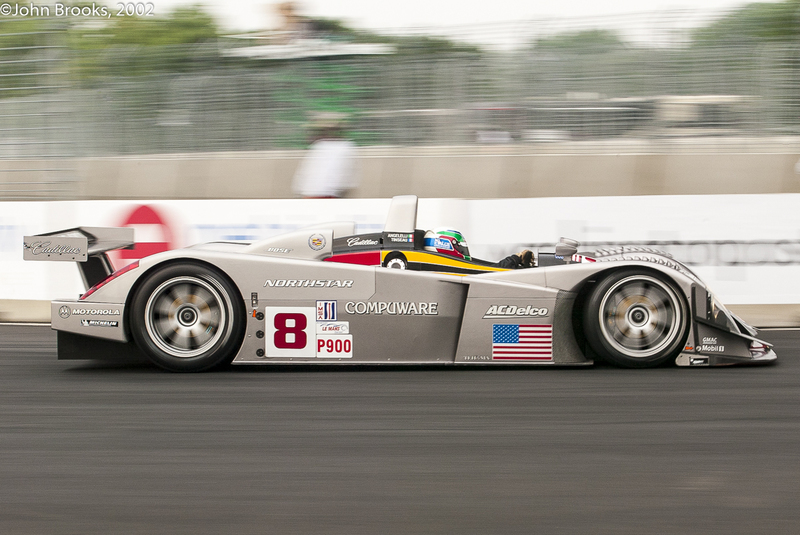 2002 saw the Audi R8 at the height of its powers in North America with two cars from Audi Sport North America backed up by another example from Champion, set against two of the aging Panoz LMP01 Evos. 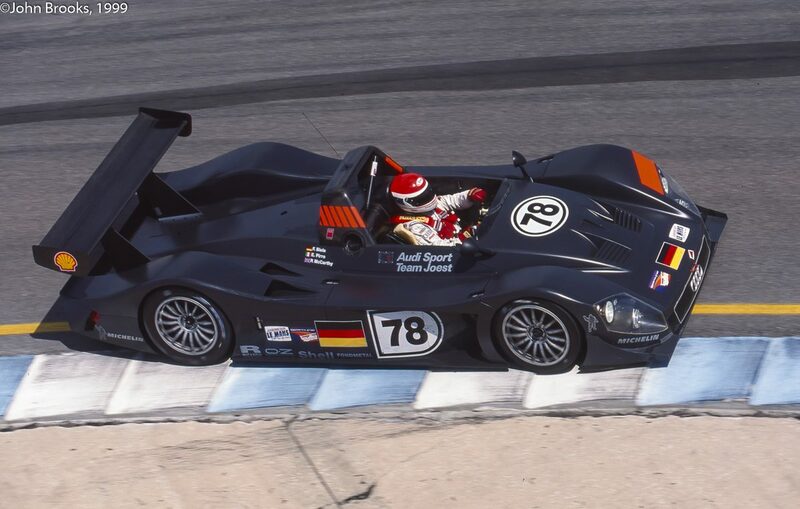 The Panoz outfit operated on a fraction of the Audi budget but pushed the Germans hard at every opportunity. 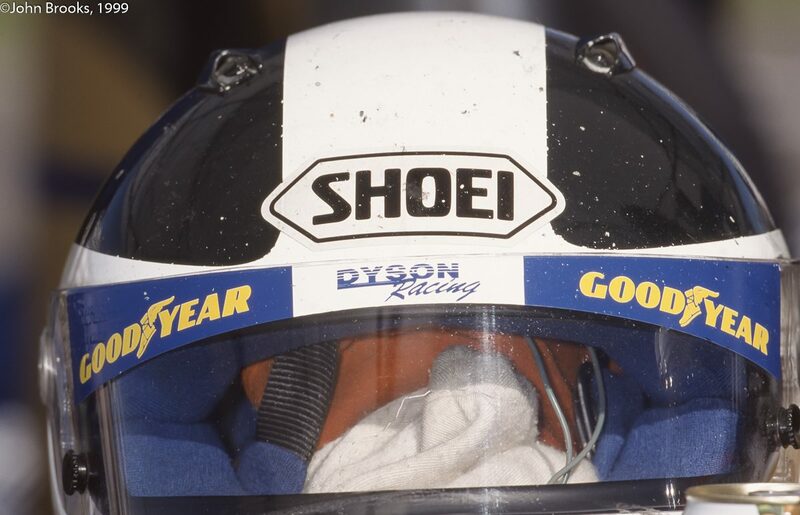 One of the most potent weapons in their armoury was their leading drivers, David Brabham and Jan Magnussen. 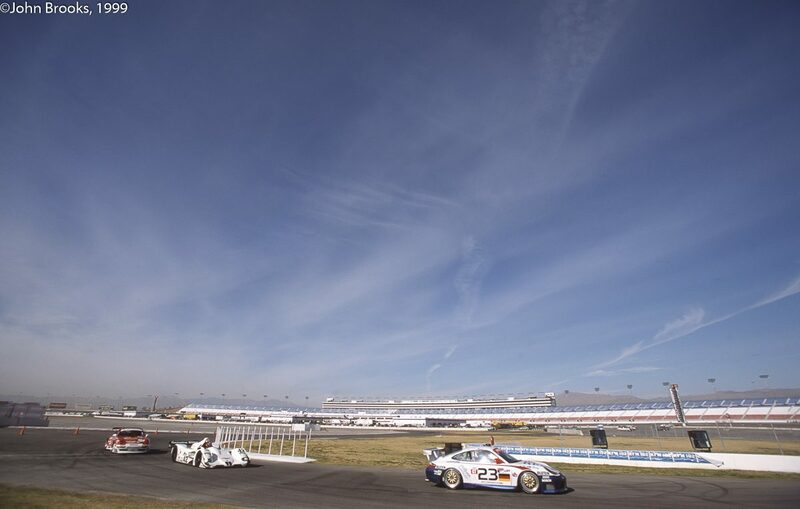 The race was held in very hot and humid conditions, a late strategy call to change tyres and stick the Dane back in the car towards the end of the race cemented an unlikely victory but the Panoz had been competitive right through the race. 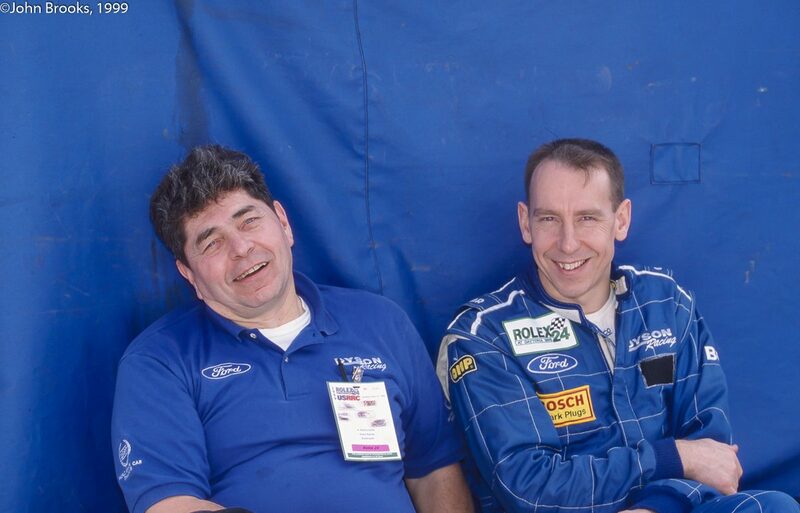 I recall in Brab’s stint him being threatened by both Capello and Biela on either side of the Panoz for several laps. I remarked to him later that he must have looked like Marty Feldman trying to see what the Audis were up to in his wake. 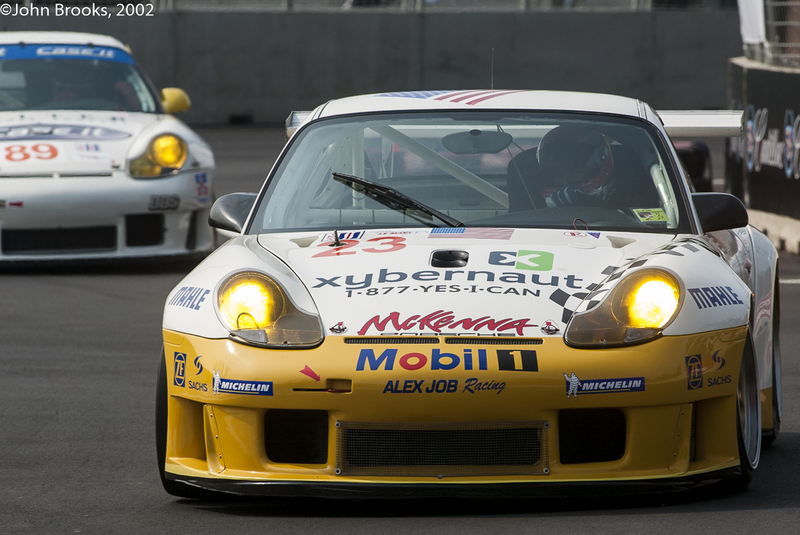 It was the final win for the Panoz and the race was a one off as the locals complained about the noise, pity the track actually worked as a street circuit. And for Don Panoz victory in DC with a car in a Spirit of America design must have been one of the sweeter moments in the decade of the ALMS. 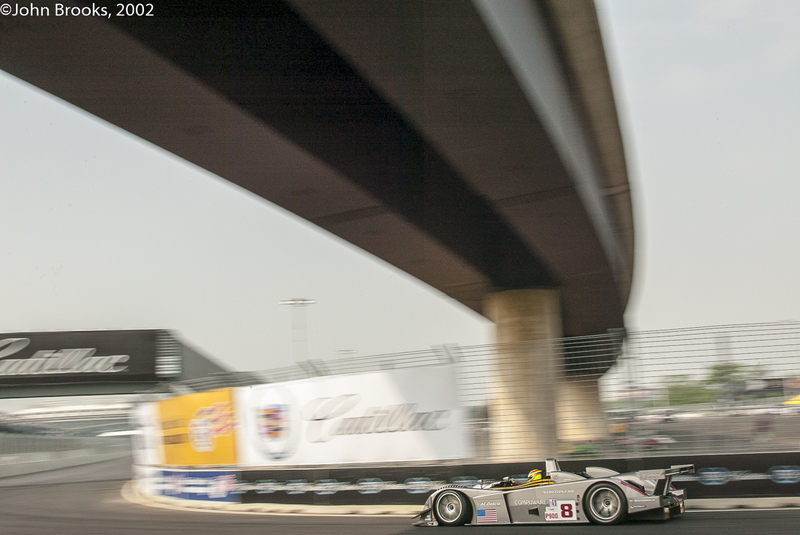 This entry was posted in Nostalgia, Notes from the Cellar, The Blink of An Eye and tagged David Brabham, Don Panoz, Jan Magnussen, Panoz LMP01 Evo, RFK Stadium, Washington DC on December 13, 2012 by John Brooks.